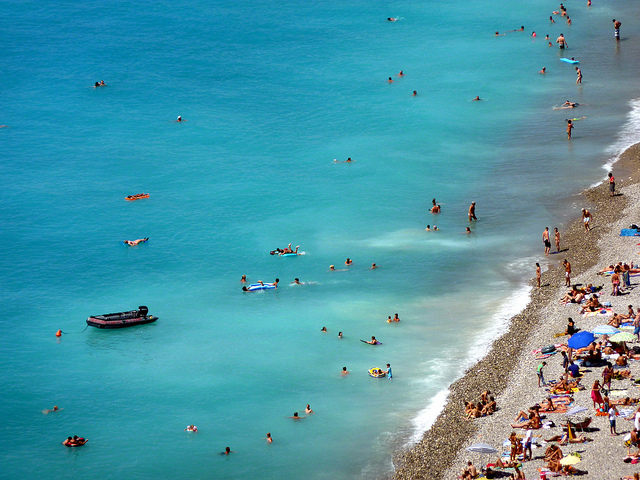 Ponchettes Beach is located in the Old Town of Nice that stretches from Opera Beach in the west of Castel Beach. The east side of this beach consists of Beach Volley ball in the sandy Beach. The Beach surround is clean with more facilities, snacks, dining, etc.